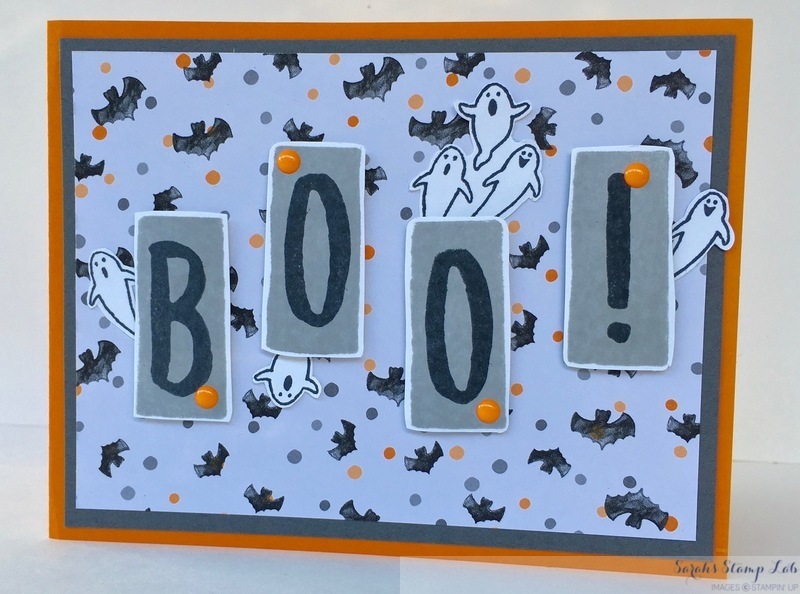 It's Day 4 of my Halloween Spooktacular and today I have such a fun card. I really love this one. Look at how cute all of the little ghosties are! This one comes together quick, and would be easy to mass produce if you have a few people that you send Halloween cards to. Yes, there is fussy cutting, but I promise it's easy fussy cutting. I love the ghost trio in the Spooky Fun stamp set, but they don't have to be a trio. You can easily cut them apart and place the individual ghosts where ever you would like them to be. I love how they are peeking out from behind each letter! The Layered Letters Alpha stamp set is one of my favorite basics. 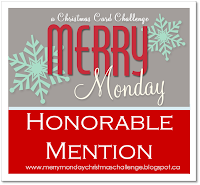 Not only is it great for cards, like the letters on this one, but I also use it for titles on scrapbooking layouts. This is a set that you will get a lot of use out of. I finished off the BOO! 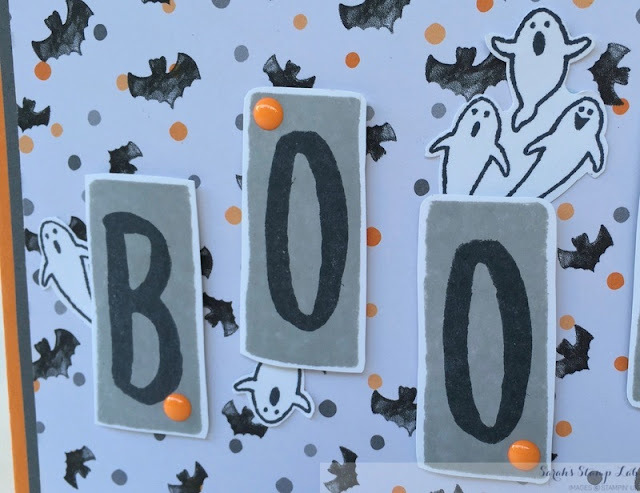 with some of the Halloween enamel dots. Just the right final touch to the card. I hope your are enjoying my week of Halloween projects. We have one day left! Stay tuned tomorrow for some more fun treat holders! Pumpkin Pie: 8-1/2" x 5-1/2"
Basic Gray: 4" x 5-1/4"
Halloween Night DSP: 3-3/4" x 5"